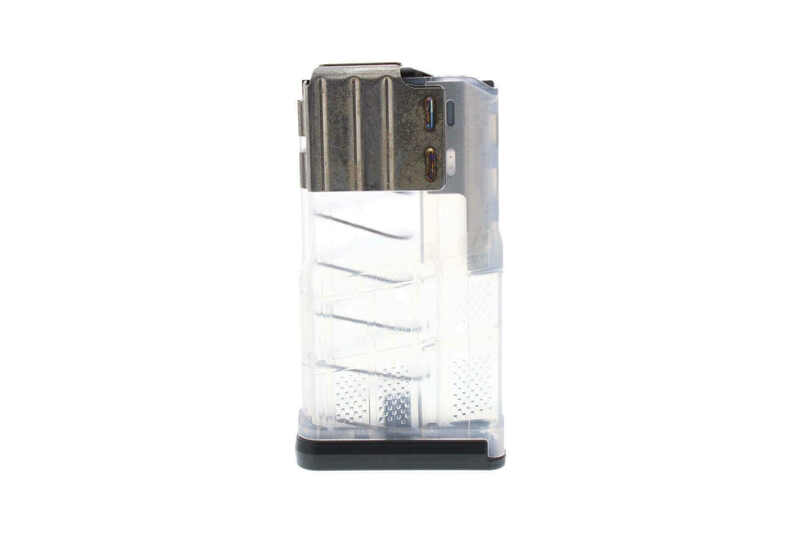 The L7AWM 20 round .308/7.62 magazine includes a unique dual steel design that wraps completely around the magazine, maximizing stiffness and feeding reliability while minimizing wear to the front of the magazine. This creates the ultimate hybrid magazine tough enough for military, LE and commercial use. Compatible with: DPMS 308, SR25, SIG 716, LMT LM308, POF P308, S&W M&P10.